New to Content Sparks? Start here to learn more about how you can use our content to grow your business faster than you ever imagined. Are you a business consultant, coach, service provider, trainer, or educator? Are you someone who strives to help others grow their own business and income? Then you’re in the right place. Our content covers all the hot topics that small, growing businesses and start-ups crave, and we add to our library every month. Select from our huge library of content on the hottest topics in Business, Marketing and Professional Development. Customize it to your market, adding your own personal brand and voice. Publish or Sell your content in your desired format or platform, and start telling the world about it. All of our products are fully editable and customizable. There are endless ways to repurpose the content you buy, and we give you multiple ideas inside each product. NOTE: The only thing you are NOT allowed to do is share or sell the editable files. People who want the editable files must purchase their own license from Content Sparks only. Once you’re done with any editing, just convert your documents to a non-editable format (such as pdf) before you sell or share them with customers and prospects. For the full list of license terms, read the Content License Rules. What can I do with my content from Content Sparks? Almost anything! Whenever you have a need for content, look to Content Sparks first. And remember, you can edit, cut up, combine, and transform your Content Sparks products in any way you want. How much time and work do I have to commit? This one is entirely up to you. Some of our customers spend very little time customizing our content. They just spend a few minutes adding their name and logo and then reading through for any little edits or examples to add. After that, the content is published and out there working for them. Other customers decide to make their Content Sparks products a core part of their own product offerings. To do that, they usually want to spend a few hours adding more of their own language and examples. Sometimes they’ll combine several products into a longer curriculum or coaching membership portal. And then there are those customers who like to edit 80% of the content, or use it as the foundation for something completely different. There’s just no way to estimate how much time that takes, other than to say that it’s still far, far faster than starting from scratch. Once you start publishing content on a consistent basis and broadcasting your expertise to the world, you’ll be surprised how quickly your business will grow. Create a resource portal for your paid customers to give them more value and keep them coming back for more. Note: Our Content Planning Template helps you plan exactly what, when and where you'll publish content. You’ll also get a sample and ideas of how long each type of content takes to create from scratch. Absolutely! Just CLICK HERE to grab a sampling from our course called How to Create a Realistic Content Marketing Plan. This is just a sample with excerpts from key parts of the course package. It does NOT include a license to edit it or use the content for your customers or readers. You’ll also receive a series of follow-up emails with additional tips for using content in different areas of your business – for marketing and building your reputation, getting more customers, working with your customers, creating products to sell, and for ongoing business growth. 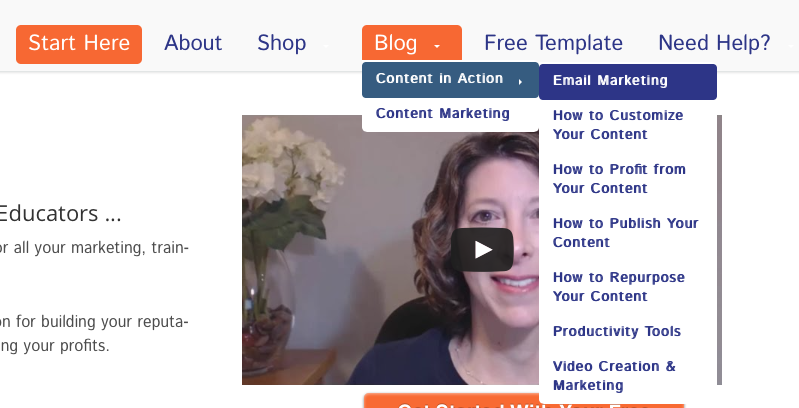 Just CLICK HERE to enter your email and get immediate access to your Content Planning Template. When you click on the Shop button, you’ll come to our main content shopping page. Browse through all our topic categories, or filter the results to find what you need. The Blog menu will give you access to all the free tutorials we’ve published to help you make the most of your content, along with regular articles and tips about content marketing. FAQs – We’re always adding to our list of Frequently Added Questions, so head over to this page first if you have a question about anything. If you don’t find the answer you’re looking for, just contact our support desk. Contact Us – If you have questions that aren’t answered here on this page or in our FAQs, just send us an email at support@contentsparks.com. Our help desk is open Monday through Friday from 9 am to 5 pm Eastern Time (ET). We’ll get back to you within 24 hours, if not sooner. Use that support email also if you ever have any feedback for us or requests for specific product types or topics. We LOVE to hear from our customers and we use your feedback to continuously add to and improve our products! There’s also a menu at the very top right of each page for logging in or registering, so that you can retrieve your purchases at any time. You can find these on the My Account page once you’re logged in. The cart button will take you to your shopping cart if you click on it. Then you can also find the ‘checkout’ button for paying for your purchases. In order to select the content that will make the biggest difference in your business right now, think about the following questions. Where are you currently spending the most time on content creation? Where are you not spending enough time on content creation? What types of products are your customers looking for or asking for? What topics are your customers or prospects looking for or asking for? What are your customers’ biggest pain points? Which topics are they struggling with most in their business? Which skills or topics do you want to be known for? What skills or topics do you need to learn more about for yourself? What topics can your customers learn about on their own vs. in a one-on-one coaching session? What’s your budget for content creation? The Sales and Marketing category includes topics such as Social Media, Lead Generation, Branding, Content Marketing, Email Marketing, and much more. Here’s where you’ll find topics such as Business Skills and Productivity. In addition, you'll see a Product Bundles category. That's where we've put together suggested bundles of products on different themes. They're perfect for when you need a lot of content at once or if you need to put together a larger training series on related topics. Our Flash Content packages contain reports, tweets and checklists. 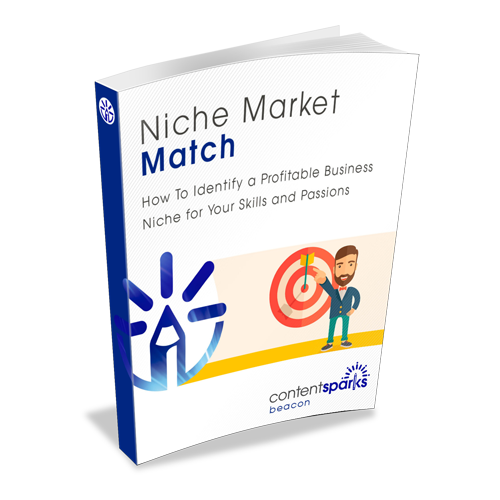 They’re perfect for attracting new customers by pulling together quick content for short reports, opt-in gifts, email series, and more. It’s also a great budget option if you have the time to create the rest of the content you need yourself. Our Beacon Content packages contain course books, workbooks, tweets, summary cheat sheets, graphics and more. Use these for creating self-paced eBooks and online courses. Some packages includes slides. Otherwise, use the summary cheat sheets to create your own slides for webinars, teleseminars, video series, workshops, etc. Our Blaze Content kits are fully-loaded training programs and sales funnels. They contain everything from the Flash and Beacon levels along with slideshows and scripts (speaking notes), additional teaching aids, resources, and instructions. In our Content Planning Template, you’ll also get a spreadsheet to use for planning your content creation and publication each month. As you fill in that calendar, you may find you need additional content. That’s when it’s a good time to come back to Content Sparks and see what you can use. 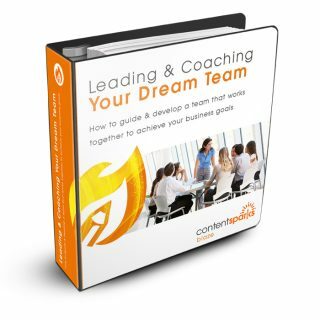 To download your Content Planning Template just CLICK HERE. 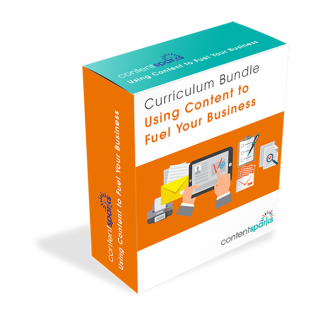 Ready to start firing up your business growth with professional content? …and watch those content sparks fly!